Watching yourself age can be a depressing process, but it’s less depressing when you realize how many skincare options are available that can help you reduce those outward signs of aging. One of those available processes is called Dermaroller. Here are some facts about Dermaroller skin treatment that will help you understand what is a dermaroller and how dermaroller treatment can revitalize your skin. What Causes Skin Issues in the First Place? There are many underlying causes of skin issues that arise with age, such as acne scars, wrinkles, and discoloration. One of those key underlying causes is the fact that your body will naturally stop producing skin-strengthening components like elastin and collagen in the amounts it once did as it ages. Other hormone production will decrease as well. In addition to that, clogged pores and exposure to chemicals and environmental factors can also make any skin conditions that you have worse. Obviously, no skincare procedure can keep you from being exposed to the physical and environmental issues that will impact your skin as you age. However, Dermaroller like medical laser tools you may have heard about, is a procedure that is capable of encouraging your body to fight back against that damage. The Dermaroller treatment process is designed to both get your body to produce more of its own natural cellular defenses and allow medicated creams to be more effective in treating your skin issues. 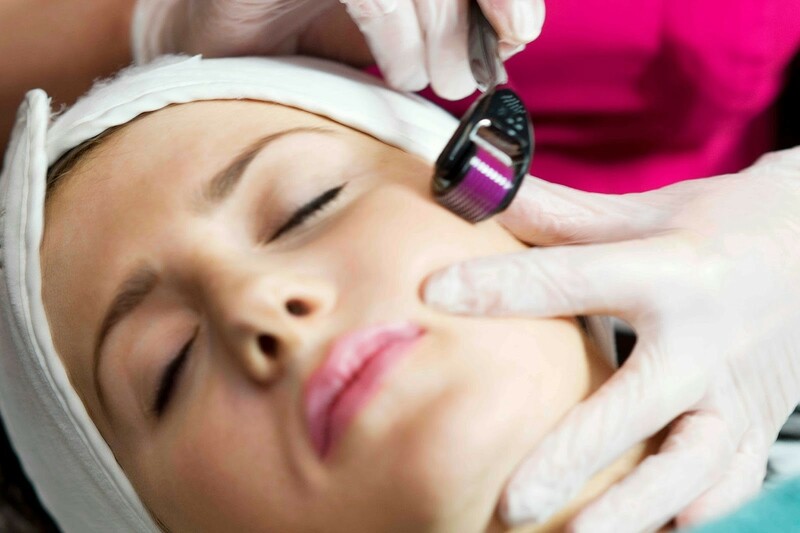 What is the Dermaroller Treatment Process? A Dermaroller is simply a small rolling cylinder covered with minuscule medical needles. The tiny needles will puncture your skin as the technician rolls the device over the area you want to treat. The small amount of damage done by the tiny needles is just enough to trigger your body’s internal repairs. New cellular defenses like collagen and elastin will be produced, strengthening all of the skin in the treatment area. Not only can that process help you to repair your damaged skin, but it can also make the skin stronger, and thus less likely to become damaged again quickly. While, Dermaroller produces almost similar results like medical lasers, it is vastly differently from the laser resurfacing treatment. Where lasers are hi-tech devices, which depending on the type of laser and the settings used (aggressive, ablative, non-ablative, etc), work much deeper and would require downtime, Dermaroller is a simple manual device that works from the top of your skin without any downtime. Wrinkles and sagging skin can often be improved with Dermaroller treatments. A Dermaroller can also be used to gradually smooth out skin in areas where cellulite may have formed. Scars can often be treated using the Dermaroller procedure as well because the new, stronger skin cells that are formed can replace the older, damaged cells. Stretch marks and wrinkles are by far the most common conditions treated with Dermarollers because many people find Dermaroller wrinkle treatments to be extremely convenient, and the potential side effects are minimal. There is no concern about potential blisters or burns, as there can be with some laser treatments. A standard Dermaroller treatment takes between 10 and 30 minutes. The exact length of time will depend on how large the area is that you need to treat. You should also keep in mind that the length of the appointment as a whole may be up to an hour or so because the technician will need to numb your skin before he or she can begin performing the procedure. Also, he or she will need to treat your skin with sterile gauze and medicated cream after the procedure.